This small country located in the Pacific Ring Of Fire and very close to the equator is a place that endows itself with abundant natural resources and some of the world’s greatest bio- diversity. 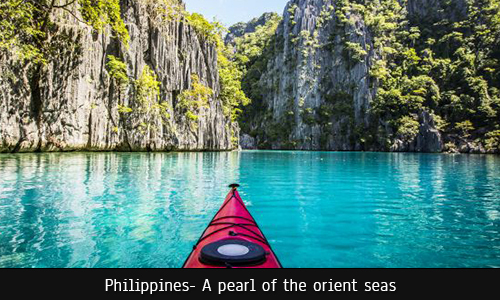 The Philippines has an area of approximately 300,000 sqm. Km (115,831 sq mi) and a population of more than 100 million with faster growth than any other East Asian country. In prehistoric times, Negritos were some of the archipelago’s earliest inhabitants. They were followed by following waves of Austronesian peoples. Exchanges with Chinese, Malay, Indian, and Islamic states occurred. Then, various nations were established under the rule of Datus, Rajahs, Sultans or Lakans. The nation’s large population and economic perspective have led it to be classified as a middle power. It is a founding member of the United Nations, World Trade Organization. It also hosts the headquarters of the Asian Development Bank. The Philippines is considered to be an up-and-coming market and a new modern country, which has an economy transitioning from being one based on agriculture to one based more on services and manufacturing. The Philippine culture is very diverse. There is the local Melanesian and Austronesian culture, which is most evident in language, traditions, native architecture, food, and dances. There is also some influence from Japan, China, India, Arabia, and Borneo. There is a heavy colonial Hispanic influence from Mexico and Spain, such as in religion, food, dance, language, festivals, architecture, and ethnicity. Influence from the US can also be seen in the culture. 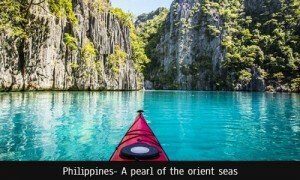 One of the New Seven Wonders of Nature is in Philippine. The Puerto Princesa Underground River (PPUR) is indeed one of the most amazing and remarkable cave systems in the world. Situated in the Saint Paul Mountain Range about 76 km north of the Puerto Princesa City, Palawan and the PPUR is the Longest Underground River in Asia and the Second Longest Underground River in the World with an 8.2 km long traversable underground river that directly flows to the sea. My travel diary insists me to fly off to the Philippines and have it my memory for a very long time. For my visa formalities, I will reach out for www.opulentuz.com. It is suggested for you as well. What are the requirements of Philippines tourist visa?